the Ground Level of SM City Davao Annex Building. As we all know, we now live in a space and time where everything is readily accessible and conveniently available. We practically live in an era where we have so many options obtainable especially when it comes to consumer products laid out in the market today. But with this rising number of overwhelming consumer goods also rise unscrupulous traders that would take advantage of the booming market. Therefore, we get into perplexity of what product to choose - and if we know any better, products that are health-friendly, environment- friendly and goods that are also sourced sustainably. Living a healthy life is non-negotiable these days and as many would attest getting into the healthy loop can be a very overwhelming process. But all it takes are few small steps towards changing our lifestyle and an entity that advocates getting us started and somehow would be our support system to sustain our efforts to do so. Healthy Options full shelves at SM City Davao, Ground Level, Annex Bldg. HEALTHY OPTIONS is a brand that pools all-good-for-the-health consumer products in the market into one roof. They operate around 26 branches all over the Philippines. They carry ‘food with conscience.’ Food that has no preservatives, no GMOs, no pesticides, no fillers and by-products, no chemical additives, no artificial ingredients, no animal testing and with good manufacturing practices products in varied categories like - supplements, grocery, farm produce, personal care and kids’ health products. 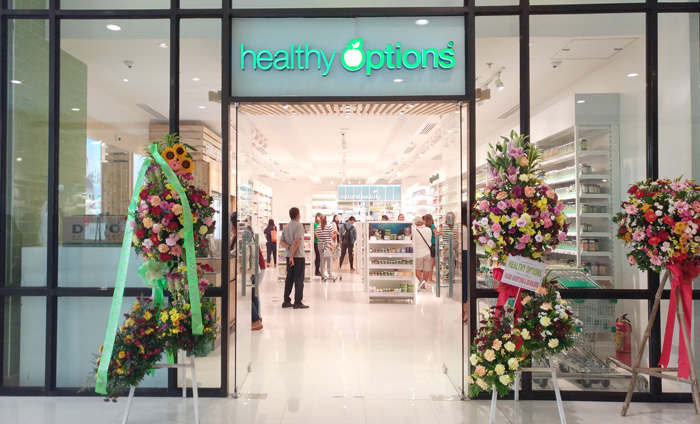 In Davao City, HEALTHY OPTIONS relaunched their newly renovated store in SM City Davao on January 17. They’re now conveniently located at the ground level of SM City Davao Annex Bldg. to serve you better. They carry a wide variety of all-natural goodness brands; in fact you can tailor your purchases to your health regimen needs. 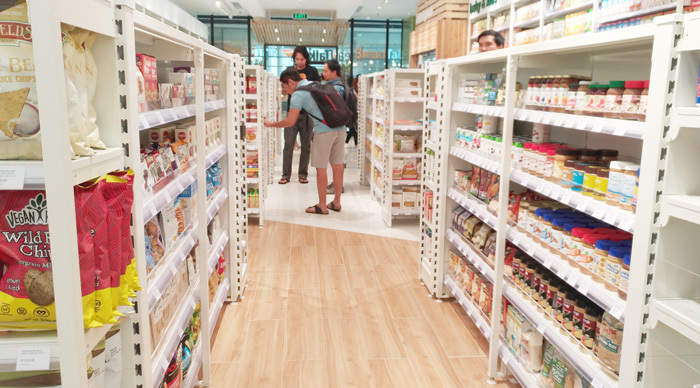 You can ask their friendly staff to collate you products if you want to start a regimen like stress relief kit, immunity kit, basic detox kit, weight loss kit, mom and baby kit or if you are into baking there are a variety baking essential brands available to choose from. I’m a regular of HEALTHY OPTIONS. My husband is a quinoa devotee. I normally add it on his salad for texture and they sell regular sized packages - aren’t too small and aren’t too large, hence, not too expensive as well. 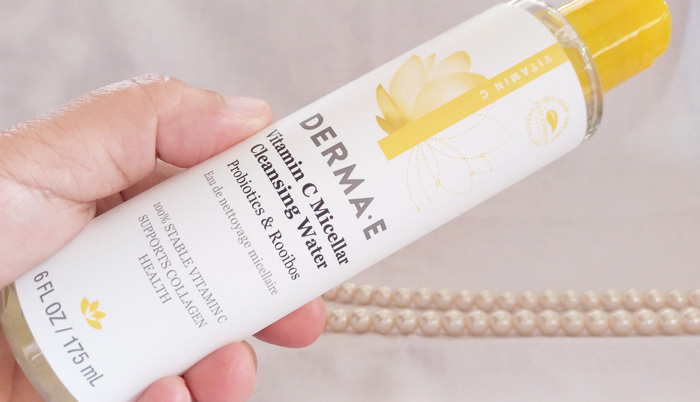 DERMA E VITAMIN C MICELLAR CLEANSING WATER 6OZ. I knew of this product for fairly a while now and have been using same for sometime already. But this is the first time I'm using this particular brand. I love Derma-E's formulation as it is tamer than those other known commercial brands available in the market today. It is very effective in removing make-up residue. Can't wait to bring this on the road. Make this your next travel buddy, saves you that 'lagkit-feeling' whenever you're on awkward times when the road. Keeps your skin healthy too, besides its all natural formulation, it's also packed with multi-good elements to combat free radicals. Dissolves long-lasting makeup and impurities, while improving the appearance of skin’s texture and promoting healthy collagen. Micellar technology gently lifts off dirt even without rinsing, maintaining skin’s proper balance. Anti-aging Probiotics and antioxidant-rich Rooibos help skin to appear brighter and replenished. Uses a stable form of Vitamin C that won’t evaporate or alter before absorbing into your skin, to work better for you, naturally. DERMA E FACIAL OIL SAGE & LAVENDER 1 OZ. I truly love this bottle. If you're not a fan of moisturizers, this baby is a perfect alternative. It's light and non-greasy. I also love that it comes in a glass dropper to dispense the liquid - it's mess-free. While it's description is face oil, you'll be amazed as it can also be used in other areas of your body like hands, elbows, knees and it's as effective as its on the face - truly lived up to its promise. Have this as one of you must-haves in your beauty arsenal. 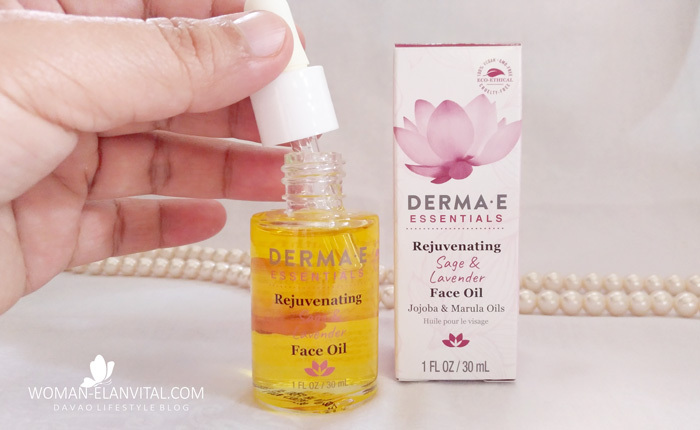 Contrary to the common notion of oils, this face oil is incredibly lightweight, fast-absorbing, and non-greasy, as it provides a concentrated boost of intense hydration for soft, smooth skin. Powerful anti-aging antioxidants and essential fatty acids work to improve elasticity, support healthy collagen, promote healthy cell renewal and reduce the appearance of fine lines and wrinkles for a healthy, youthful glow. Lavender oil is both antibacterial and calming, as it aids in stimulating the brain for rejuvenation. Rebalancing, ultra-concentrated Seabuckthorn and Jojoba Oils are full of skin-loving essential nutrients that deeply moisturize leaving skin hydrated, supple, soft, and beautifully radiant. Soothing Marula Oil is a powerful age-defying antioxidant full of fatty acids Omega 6 & 9 that helps fight free radicals – unstable molecules that damage cells, contributing to aging and disease – reducing the appearance of fine lines and wrinkles. 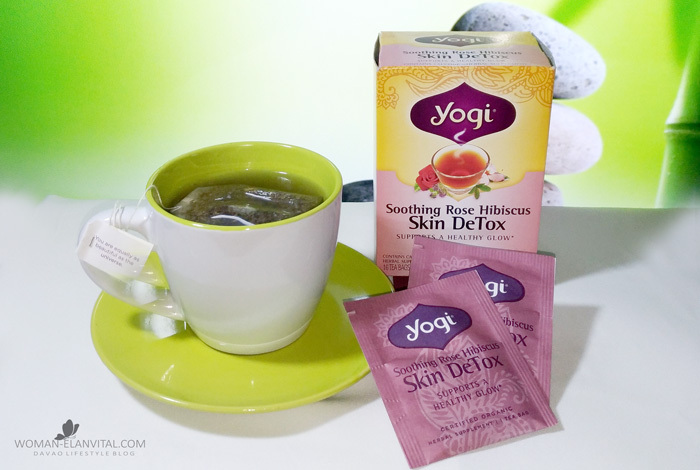 YOGI TEA SKIN DETOX. I usually take my tea strong and it's a soothing feeling to have a light, fragrant and skin detoxifying option. Besides this Yogi Skin Detox Tea, Healthy Options also have a wide variety of organic tea brands you can choose from. Visit your nearest and favourite store for a box of tea today. Make the best out of your day, drink tea! Our skin reflects our diet and lifestyle choices: it’s the mirror to internal health. It’s just as essential to cleanse from the inside; reducing internal impurities can help to promote clearer, glowing skin. Yogi Skin DeTox was purposefully formulated to support a healthy skin care regimen. Fragrant Rose Petal and Hibiscus, used in Ayurveda to cool and soothe the skin, entice the senses with a fresh, floral scent. We then add Organic Green Tea that supplies antioxidants to promote a sense of rejuvenation while Burdock and Yellow Dock-traditionally used to support the liver-combine with Red Clover to promote cleansing. 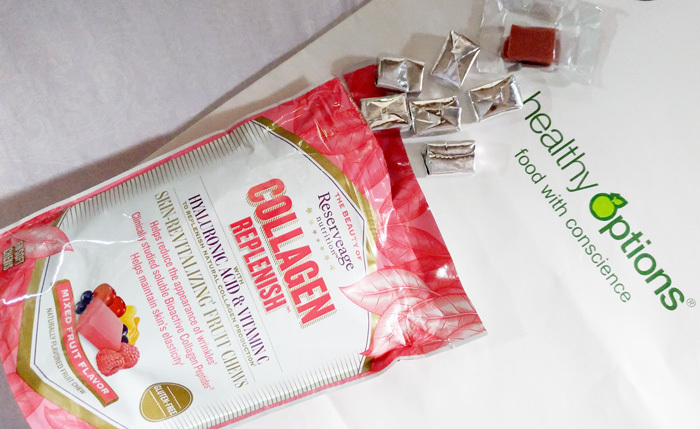 RESERVEAGE COLLAGEN REPLENISH CHEWS. This is probably the most convenient and handy beauty supplement I ever had in my life. What about a chewable candy packed with good elements to boost up a healthier, younger and longer life? Forget your mints, this has more benefits than you could ever imagine. So Titas of Davao friends, to make those wrinkles away, let's stock away a pack of this chewable collagen candy everyday! Radiance starts with collagen—the beauty protein that contributes to firmness and elasticity of our skin. Collagen Replenish delivers a unique formulation that helps promote collagen production, which steadily decreases after age 30. It’s special because of our exclusive Beauty Peptide Complex™—it includes specially sized collagen peptides that target the mid-layer of skin, where deep wrinkles form. Our exclusive peptide complex contains a clinically studied and patented ingredient shown to work in two human clinical studies.§These delightful, tasty chews are individually wrapped for convenience and portability. Reduce eye wrinkle volume by 20% in 8 weeks with these powerful—and decadent—fruity chews. This formula promotes skin elasticity and suppleness for visibly smoother skin. Participants of both studies were fair-skinned, Caucasian women; ages 35-66 and 45-65, respectively. HEALTHY OPTIONS REGULAR OATS 26OZ. I'm a frequent of Healthy Options for two great reasons. One, the organic hair colors (whatever brand is available I pick) and second, this rolled oats. The instant oats may be a good alternative, but nothing compared to a freshly-cooked rolled oats with milk topped with nuts, bananas and honey. Having oats is good for your health so they say. That I believe is one of truest maxims on health ever said. So start your Healthy Options oat regimen today. Cook for 10-20 minutes (depending on desired consistency) and stir occasionally. Remove from heat and let stand for 2-3 minutes. Optional: Serve with milk or cream. Add brown sugar or honey. Mix in fruits and/or nuts. 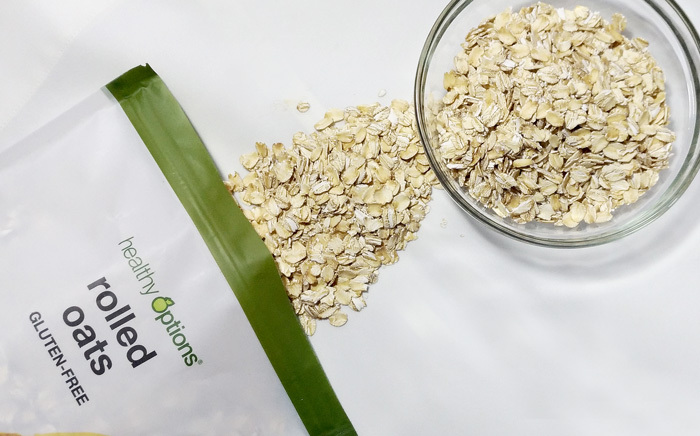 Oatmeal, with its soothing and softening properties, is a great additional to your skin care routine. Add milk to exfoliate dead skin cells, you’ve got a simple recipe for smoother, clearer, and brighter skin. Mix all ingredients together until mixture is smooth and even. Wash your face and neck with warm water to remove makeup. Apply the mixture to your face, neck and leave it for 15 to 20 minutes. As I have said, living a healthy lifestyle is non-negotiable these days. We have HEALTHY OPTIONS that are readily and conveniently available for us today. Its just a matter of changing our mind-set, right education to living a healthy life and not getting yourself swayed with the lure of sweet and delicious temptations. I know it's a real hard work in the beginning, I've been there, but eventually when you get the grip of it, it'll be just as easy. Begin your journey to healthy living this year, HEALTHY OPTIONS is the right place to start. SEE MORE SHOP PHOTOS HERE!